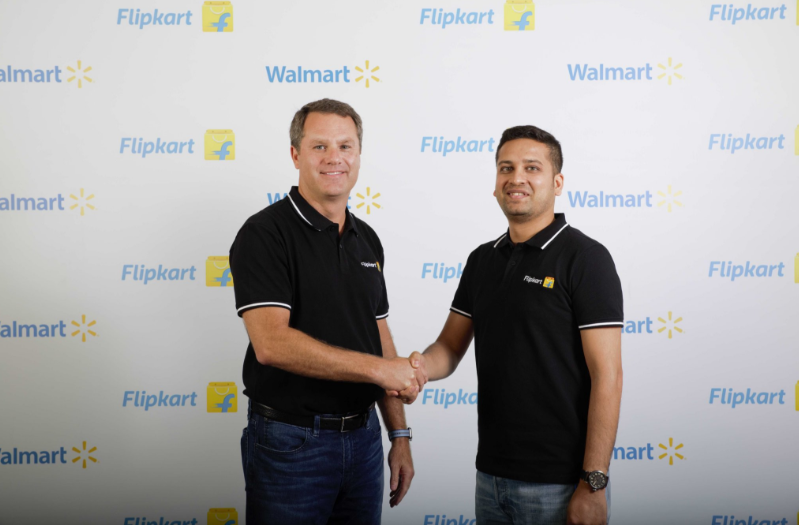 After months of speculation, Flipkart is now officially a part of Walmart. The US-based retailer acquired it at a valuation of Rs. 1,34,000 crore, and created history in more ways than one. Flipkart is Walmart’s biggest-ever acquisition in the e-commerce space. The Flipkart deal is also the biggest exit ever for an Indian startup, and more incredibly, Walmart’s Flipkart infusion is the biggest foreign investment into an Indian company. With these milestones, it’s easy to forget that just over a decade ago, Flipkart ran out of a 2BHK house in Koramangla in Bangalore, and the founders were running around delivering the books themselves. Here is Flipkart’s amazing journey in 16 rarely-seen photographs. 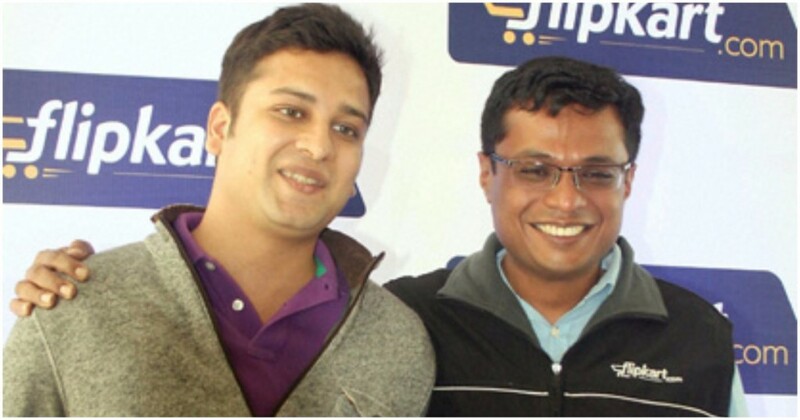 1.The founders: Before becoming the poster boys of India’s startup ecosystem, Sachin Bansal and Binny Bansal were friends at IIT Delhi. They’d then gone on to work at Amazon, where they didn’t find their jobs to be particularly interesting. Instead of helping Jeff Bezos add to his already-vast fortune, the two decided to quit and start a company in India that competed with Amazon. 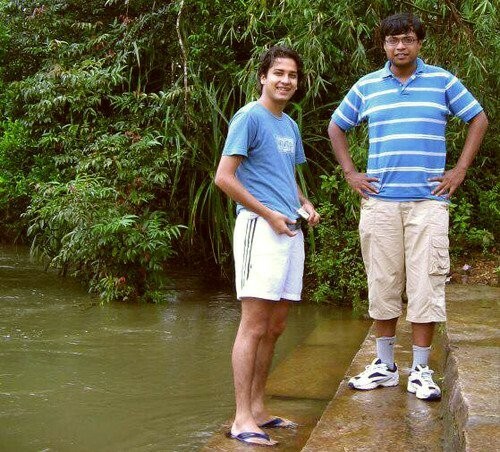 This picture is from Flipkart’s early days, with Binny Bansal in shorts on the left, while a cherubic Sachin Bansal stands beside him. 2. Flipkart.com is born: Both Sachin and Binny were computer programmers, and coded Flipkart.com by themselves. But it was 2007, and user interfaces weren’t quite what they are now. 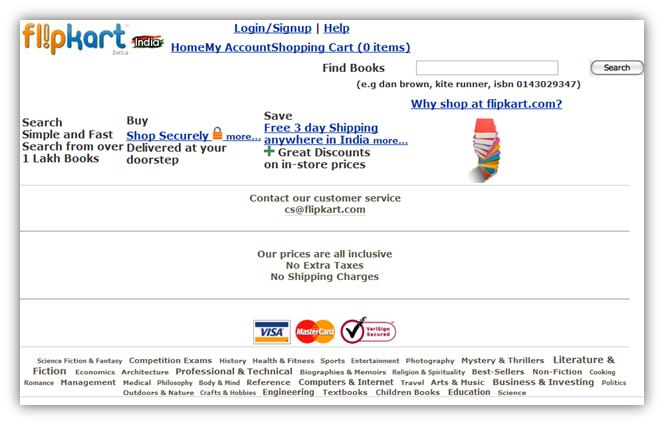 This is what the first version of Flipkart’s website looked like — the logo was orange and blue, and perhaps inspired by Yahoo!, even had an exclamation point thrown in. 4. The first customer arrives: Sachin had been doing his bit to promote Flipkart online as well — he’d been leaving links to Flipkart.com on random blogs. 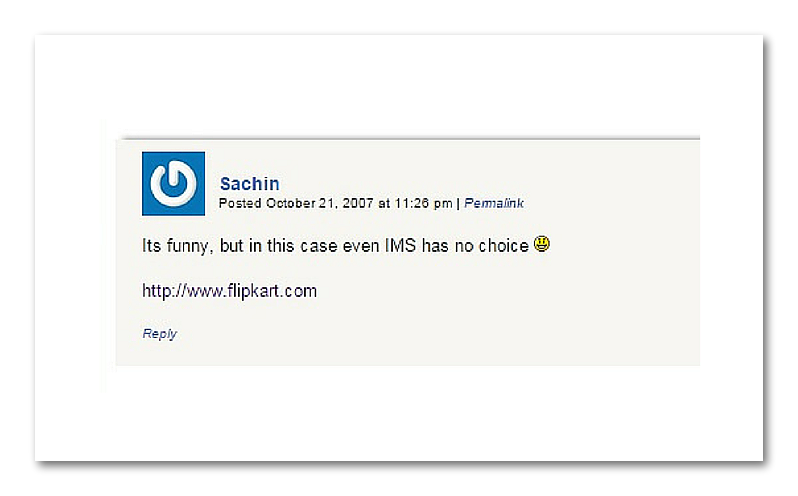 On 21st October 2007, after writing a comment on a tech blog, he also posted a link simply saying “Flipkart.com”. The blog belonged to V V K Chandra from Mahbubnagar in Andhra Pradesh, who ran a freelance web consultancy. He happened to clicked on the Flipkart.com link, only to discover that the site sold books. 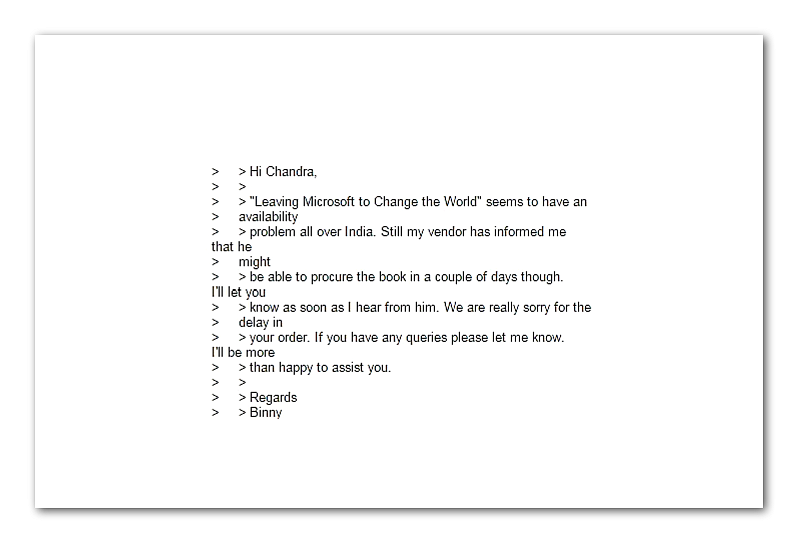 He hadn’t seen anything like it in India, and went ahead and ordered a book: Leaving Microsoft to Change The World by John Wood. A cheer went up in Flipkart’s office when they received the order, but there was a snag — Flipkart didn’t have the book stocked. That’s when Binny sent Chandra an email, saying his book might be delayed. “We’re really sorry for the delay in your order,” wrote Binny, while assuring him that he’d try to procure the book in a couple of days. Binny eventually found the book at Sapna Book Store in Koramangla, and shipped it over. Chandra was so impressed with the service that Flipkart had its first review, and it was glowing. “The best Indian online book store I have ever seen. Fast and free shipping, discounts and a large number of titles. I could not have expected more. You guys really rock. Good luck,” he wrote. 5. The first employee is found: After Chandra’s historic order, Flipkart grew quickly, and was soon serving 100 orders a day. Until then, Sachin and Binny were packing and mailing all books on their own, but they realized they could do with a helping hand. “We were not looking for much,” Sachin had later said. “All we wanted was a person who could speak some English and use a computer.” They found Ambur Iyyappa, and hired him at a monthly salary of Rs. 8000. 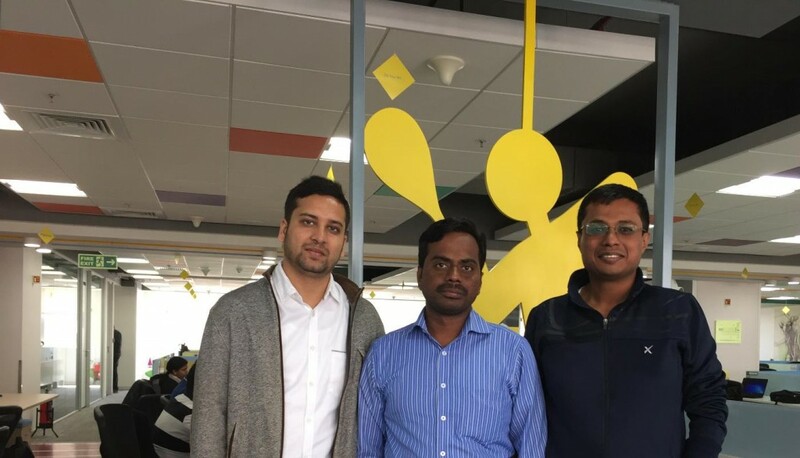 Iyyappa proved to be a valuable asset for Flipkart, and began single-handedly managing its logistics. Sachin and Binny were so impressed with him they doubled his salary every quarter. Today, Iyyappa is still with Flipkart, and has risen through the ranks to become the Associate Director of Customer Experience. Thanks to his stock holdings with Flipkart, Iyyappa is now a dollar multimillionaire. 6. 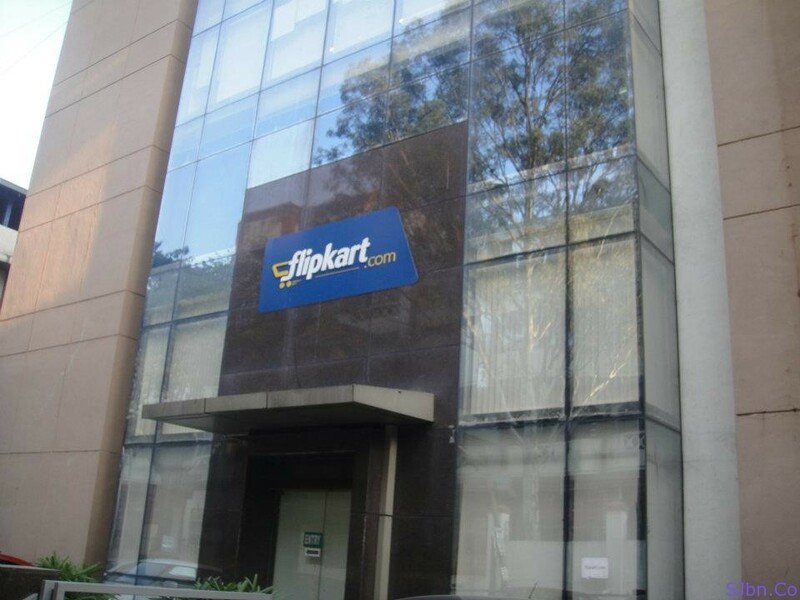 Flipkart has its first home: Flipkart was quickly growing, and soon needed a proper office. 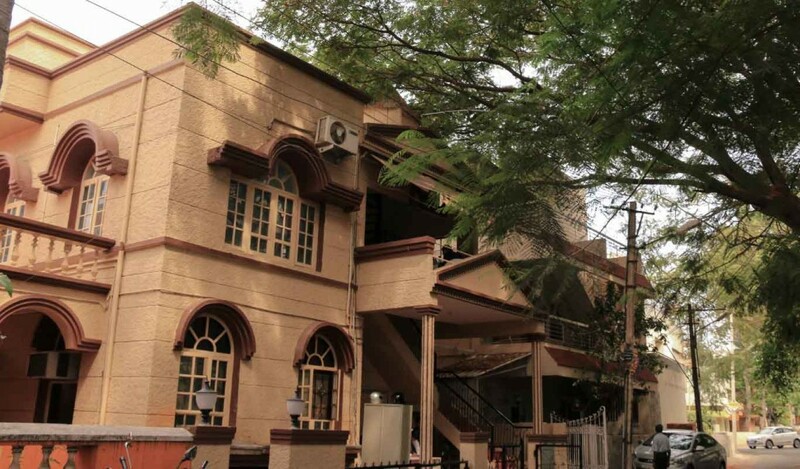 The Bansals zeroed in on 447-C, 12th Main, Koramangla, a two-storey bungalow in the area that would soon become ground zero of Bangalore’s startup community. Flipkart’s engineers occupied the first floor of the home, and began coding the site that would soon be worth billions. Even though Flipkart now has several swanky offices to house its 34,000 employees, it still retains 447-C.
7. Books, books everywhere: In its early days, Flipkart held no stocks of its books, but ordered them from suppliers when they were requested on its site. 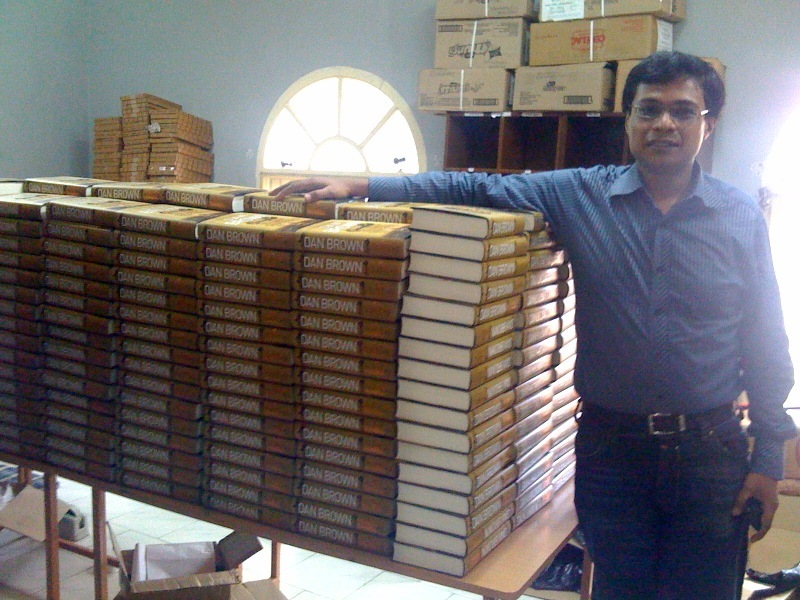 Here Sachin poses with a bunch of copies of Dan Brown’s The Lost Symbol, which was released in 2009. 8. Flipkart finds its feet: Flipkart’s early success didn’t go unnoticed by investors. Nearly a year after starting out, Flipkart raised its Series A in October 2009. That came with the usual trappings of well-funded companies — Flipkart now had a swanky office, and hundreds of employees. 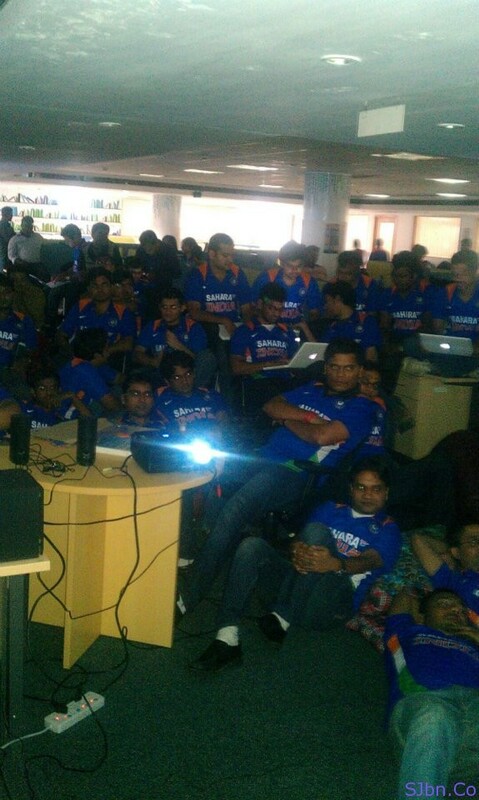 And right from its early days, Flipkart kept things casual — Flipkart’s employees put on India’s jerseys and watched the India-Pakistan semifinal during the 2011 World Cup, right from within the office. 9. The Media comes calling: And early traction didn’t go unnoticed by the media either. 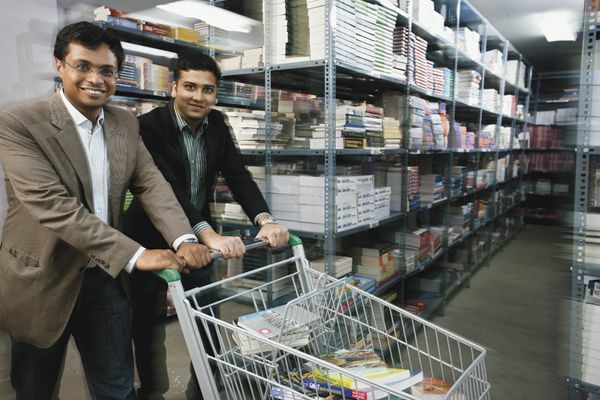 Flipkart was soon being featured in everything from blogs to business TV shows, and the pictures also became a lot more professionally shot — here are Sachin and Binny in a Flipkart warehouse in January 2012. Not all media shoots were so straightforward though. Business Today ran a story on Flipkart, and probably bullied Sachin and Binny into some fairly outlandish poses. 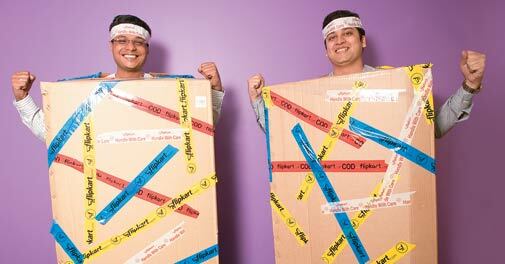 Here are Sachin and Binny, with wrapping plastic around their heads, wearing cardboard delivery boxes. We don’t even know what’s going on here. But being in the limelight did help — Flipkart was soon raising funding round after funding round, and selling more and more goods. Sachin Bansal was conferred with the Entrepreneur of the year award in 2012-13 by then Finance Minister P. Chidambaram. By then, Flipkart had become an e-commerce powerhouse. It had leapfrogged ahead of Indian rivals, and was growing its GMV year after year. It soon started attracting some big-ticket investors — Tiger Global came on board and helped it aggressively expand its business. It was followed by some even bigger names — in 2017, Microsoft, eBay and Tencent all put their weight behind the company. And then the biggest investor of all came calling — in October last year, Softbank pumped in $2.5 billion into Flipkart. That set the stage for Flipkart’s eventual exit — on 9th May 2018, Flipkart was acquired by Walmart at a valuation of $20 billion (Rs. 1,34,000 crore). The little website that Sachin and Binny made has made them fabulously rich. After the Walmart deal, Sachin has decided to leave Flipkart and sell all his shares, and they’ve earned him a cool $1 billion (Rs. 6,700 crore). Binny is still with Flipkart, and his personal stockholding also puts his net worth at well over a billion dollars. And while Sachin and Binny are no longer together, their exceptional, decade-long journey will continue to inspire generations of Indian entrepreneurs to come.